Now that summer is fast approaching, we caught up with Beauty By The Bunny to see what products she’d recommend switching up between seasons. All of the beauty products featured in this post are available to Click & Collect to a CollectPlus Point near you, and with over 7,000 across the UK, there’s bound to be one very close to where you work, live or study. The weather is warming up and before we know it summer will be here. Each spring I go though the makeup that I use most days and make a few little tweaks. 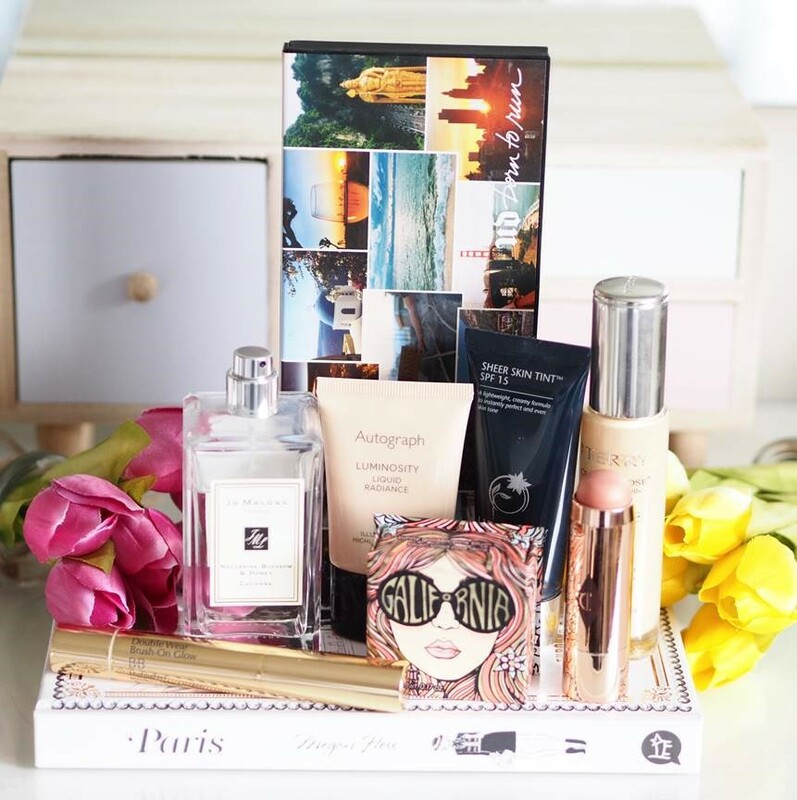 I like to freshen things up and there are some products that work better for me in the warmer months. Now I do have a stupidly big makeup collection and my job is to try out new products but there are some products that I use regularly for those days when I’m just going about my day to day life. The products that have been staples during winter just aren’t as suitable once the temperature starts to rise. So I’ve gathered together a few examples of how I switch things up for summer. The biggest change I make is to my base. I don’t want heavy foundations or powders anywhere near my face when it starts to heat up. 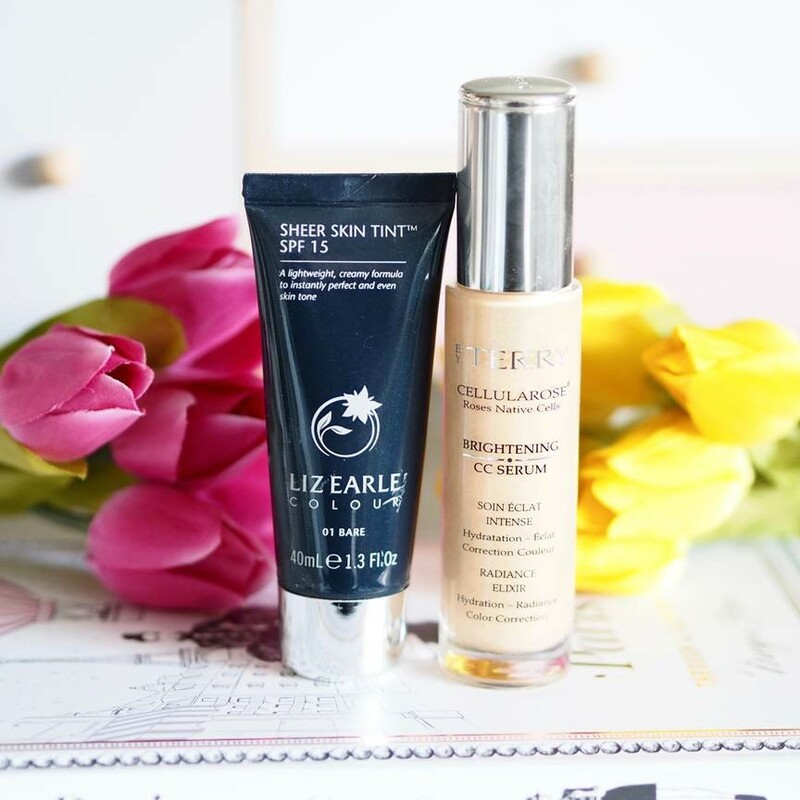 I like to keep my base as light and minimal as possible so the foundations get put to one side and I switch them up with my Liz Earle Sheer Skin Tint (£24.50). It smooths, brightens and evens the skin tone whilst giving some colour to your complexion. It’s nice and light and always leaves me with a healthy looking base. Some days I don’t even bother with that and just use the By Terry Brightening CC Serum (£61.00). It blurs, smooths and adds radiance and is definitely all I sometimes need on a good skin day. I hate wearing foundation in Summer, so these are great alternatives. Once it does get nearer to those blissful Summer months, I reach for the peach. Blushers that are peach toned always look gorgeous in the sun and add a healthy touch to the cheeks. 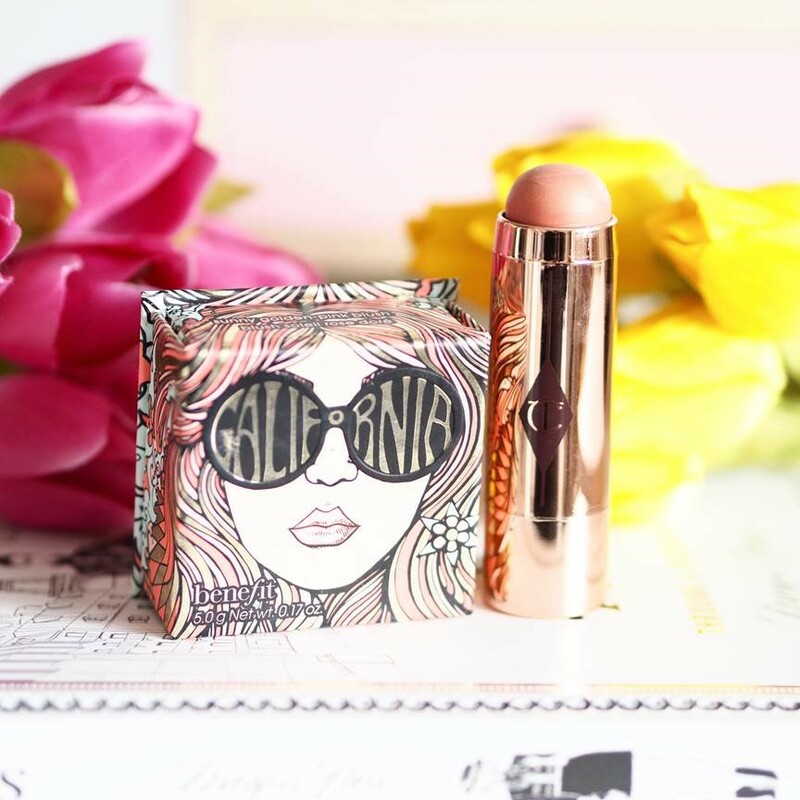 Benefit Galifornia (£23.40) is a firm favourite as it feels nice and light and whilst it is more pink toned, the hint of gold in it gives that peachy finish. I do try to limit how many powder products I use in the summer and I definitely veer more towards cream formulas. The Charlotte Tilbury Beach Sticks (£30.00) are firm favourites. I love the creaminess of them and that they allow the skin to breathe. The finish you get from these is just beautiful and they should be a staple in all Summer makeup bags. I’m all about the glow 12 months a year, but in the Summer I prefer to go for more subtle products that give me a healthy and natural radiance. The Estee Lauder Double Wear Brush On Glow (£22.50) is both a BB highlighter and concealer and it is great to keep in your bag for quick touch-ups. It really helps to brighten and add a subtle hint of radiance. In Winter, this isn’t enough for me, but it is ideal for summer. As with blushers, I prefer liquid highlighters when it is warm. 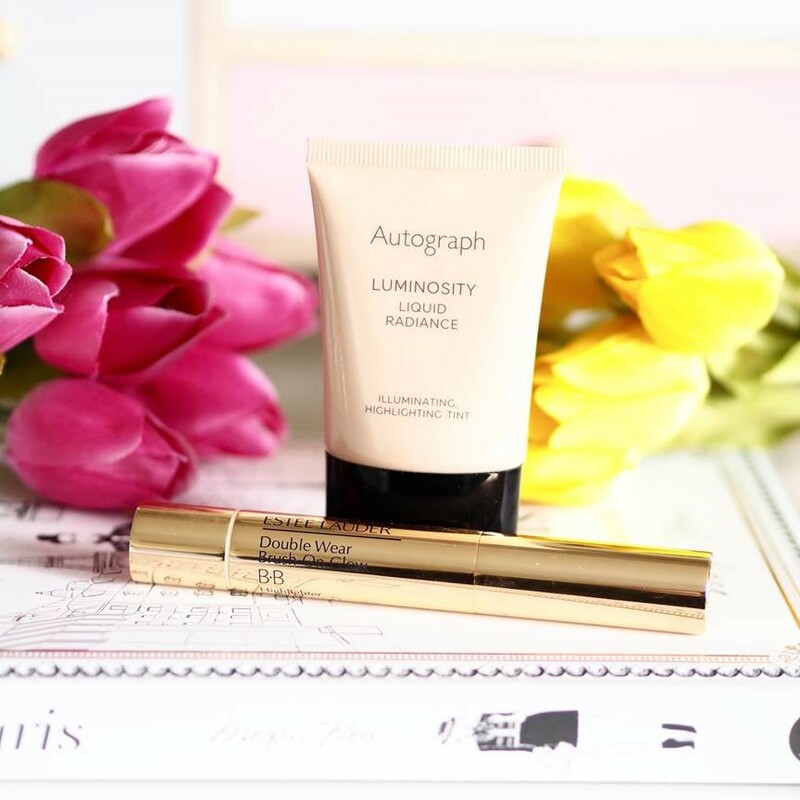 I love the Autograph Luminosity Liquid Radiance (£10.00) as it adds natural illumination to the skin without leaving you with that powdery feeling. I just dot a little bit on my cheekbones and rub in with my fingers for instant radiance. For my eyes, I like a palette that is versatile. I want something that fulfils my ridiculous need for neutrals whilst also giving me the option to be a bit more adventurous. 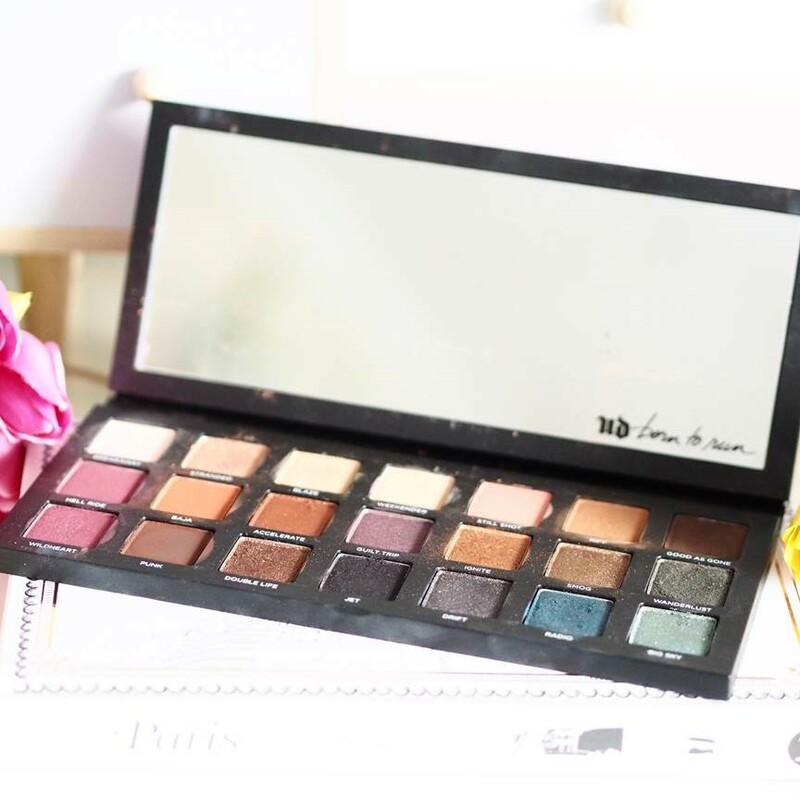 For some reason, Summer makes me be a bit bolder when it comes to colour and the Urban Decay Born To Run palette (£33.57) is perfect. There is a good range of shades, including some gorgeous oranges that really work well in Summer and the quality of this palette is great. I do also like the fact that there are some shades to transform a daytime look into something a bit more glam for those hot Summer nights. The final thing that I switch up is my fragrance. It’s time to put the heavier, more intense scents away for a while and wear something lighter and fresher. 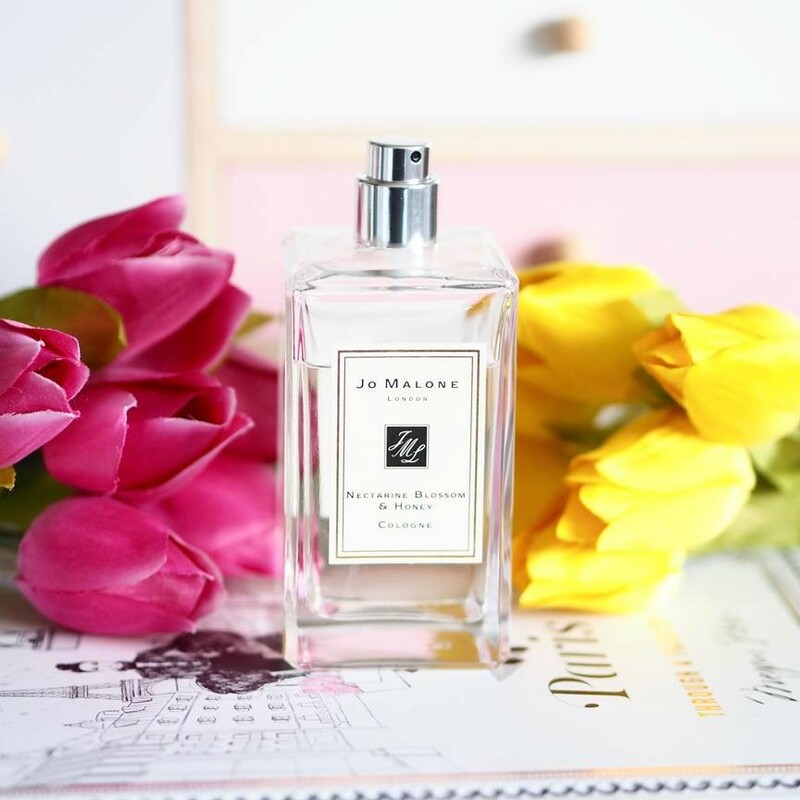 One scent that I love and that is perfect for this time of year is Jo Malone Nectarine Blossom & Honey (£94.00). This is the loveliest scent with its playful notes of nectarine, peach and cassis, as well as spring flowers and honey. It smells incredible, stays on all day and instantly lifts the mood. Now that our makeup bags are refreshed, let’s hope for a long hot summer where we can all have lots of fun.